Smart City is a recent topic, but it is spreading very fast, as it is perceived as a winning strategy to cope with some severe urban problems such as traffic, pollution, energy consumption, waste treatment. Smart city ideas are the merge of some other more ancient urban policies such as digital city, green city, knowledge city. A smart city is therefore a complex, long-term vision of a better urban area, aiming at reducing its environmental footprint and at creating better quality of life for citizens. Mobility is one of the most difficult topic to face in metropolitan large areas. It involves both environmental and economic aspects, and needs both high technologies and virtuous people behaviours. Smart mobility is largely permeated by ICT, used in both backward and forward applications, to support the optimization of traffic fluxes, but also to collect citizens’ opinions about likeability in cities or quality of local public transport services. 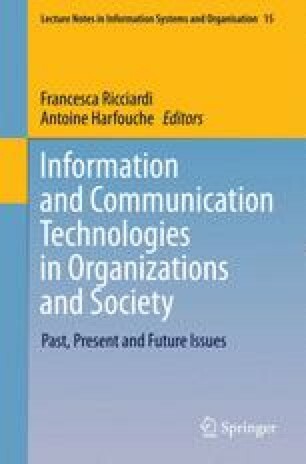 The aim of this paper is to analyse the Smart Mobility initiatives as part of a larger smart city initiative portfolio, and to investigate about the role of ICT in supporting smart mobility actions, influencing their impact on the citizens’ quality of life and on the public value created for the city as a whole.